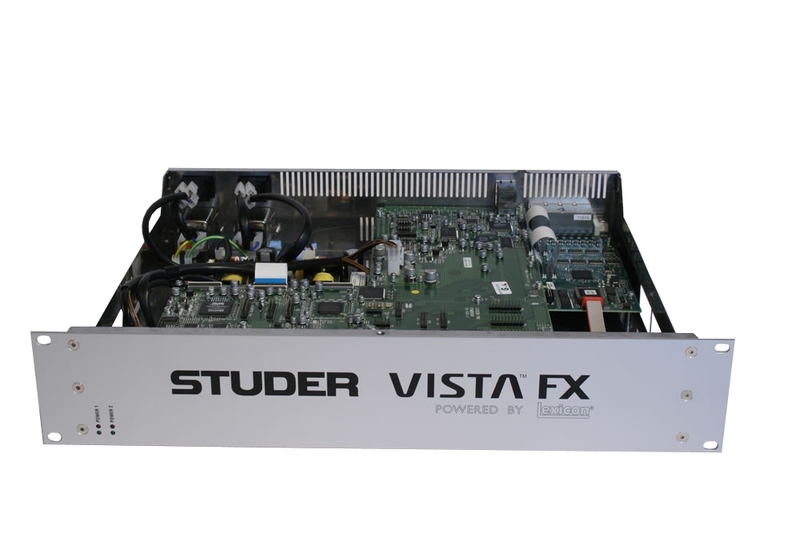 Studer now offers Lexicon® high quality broadcast surround effects for all Vista consoles, controlled through the widely acclaimed Vistonics™ user interface. 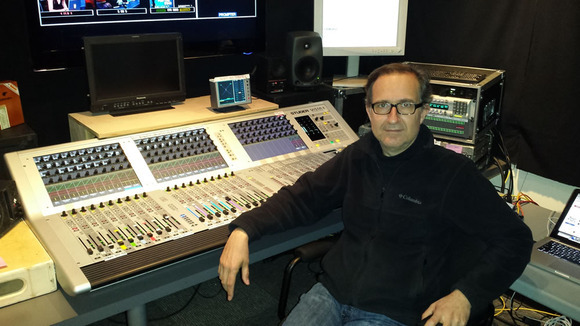 Connection to the console's DSP engine is made directly via two high-capacity multichannel HD Links. One lightweight 2U chassis holds the equivalent of two Lexicon PCM96 devices, with a minimum of operating elements. 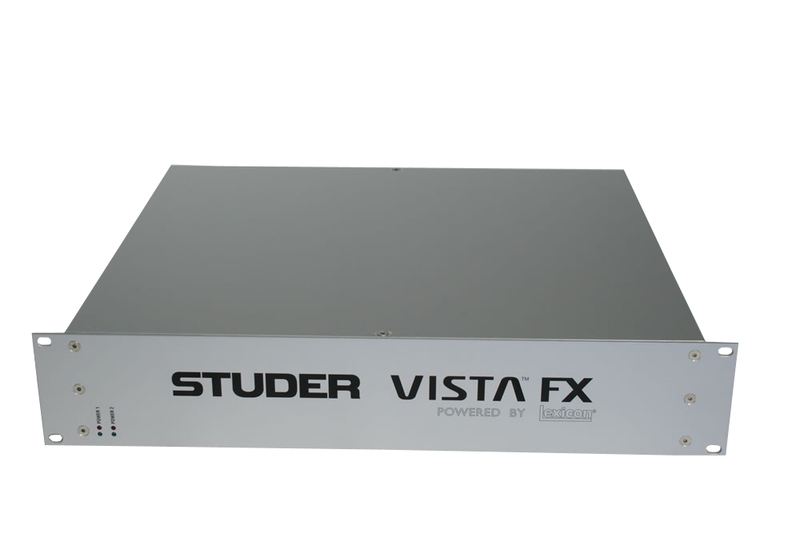 It offers the highest quality effects for eight mono, four stereo or two surround signals, combined with Studer Vistonics, the most user-friendly and intuitive control interface available. The Vista FX parameters are completely integrated into the console snapshot system. The parameters can be copied/pasted between channels and into and out of the Clipboard Library. The FX unit parameters may also be operated from the Virtual Vista application. connects to the console's DSP core with two Cat5 cables (max. 10 metres), and with another Cat5 cable to the console for control. 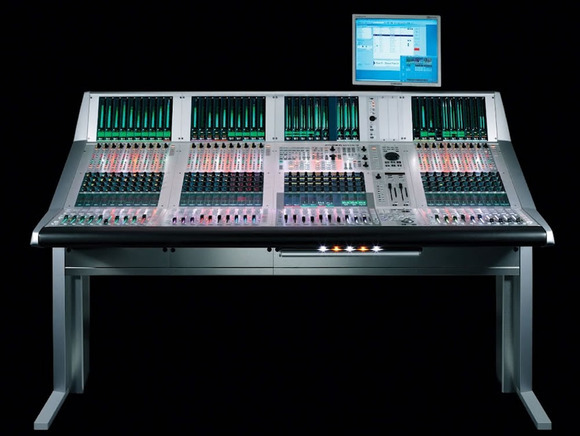 It offers the console operator a combination of several independent reverb or effects units in a box. Up to three Vista FX units may be daisy-chained, allowing up to 24 different mono effect channels per console. Connected effects units are automatically detected by the Vista application and appear in the graphic controller's General Patch window. In External Mode, the desk signals are mixed to an AUX bus connected to a Vista FX input. The FX unit's output signal is then routed to a desk fader to add to the overall desk mix (typical FX return). As soon as the direct output of an AUX master is patched to an FX input, the Vistonics AUX Send control will become blue instead of orange. When the effect output is patched to an effect return input, this input channel's yellow-coloured Panning icon is replaced by the blue FX icon. It offers the selection of a reverb or effects category from the following: Halls, Plates, Chambers, Rooms (each with small/medium/large selection), Environments, Chorus/Flanger, Delay, Resonance, Reverse, Pitch Shift, and Pitch Effects. Literally, hundreds of different presets are available, and up to 20 different parameters can be adjusted for every effect.